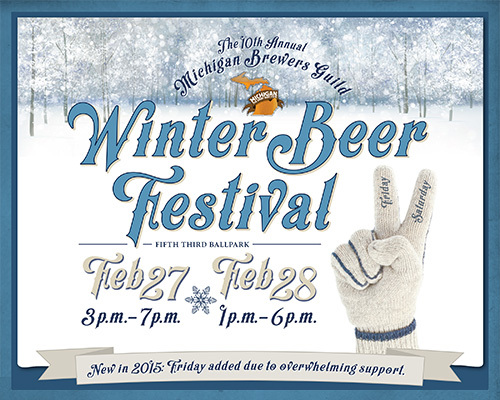 The Michigan Brewer’s guild has expanded the Winter Beer Festival with an extra day to bundle up and sample some of Michigan’s best craft beer. This year’s edition will bring 89 breweries with almost 800 craft beers. Fifth Third Ballpark in Comstock Park (just north of Grand Rapids) will once again host the annual festival on Friday, Feb. 27 from 3-7 p.m., and Saturday, Feb. 28 from 1-6 p.m.
Tickets are $45 in advance, and include 15 sample tokens. Tickets have already sold out for Saturday. If any tickets remain for Friday, they will be $50 at the gate. Tickets for Friday can be purchased HERE. Designated driver tickets are also available for $5. Designated drivers must be 21 or older and cannot drink beer at the event. Entertainment includes live music from local bands. Food will be available for purchase. Remember to dress appropriately and stay hydrated. Arcadia Brewing Company Kalamazoo will be hosting Beer Fest Boot Camp on Saturday, Feb. 21 from noon to 6 p.m.
Beer Fest Boot Camp is the perfect chance to get in game shape and prove you’re ready to handle outdoor winter drinking at the Winter Beer Fest the following weekend. Arcadia will have fire pits and grills cooking up sausages and s’mores, and hot cocoa will be available. You can also keep yourself warm by playing disc golf putt-putt. Beer, you ask? Of course. In addition to their current beer lineup, Arcadia will be tapping the first keg of Brigid’s Irish Red for the season. 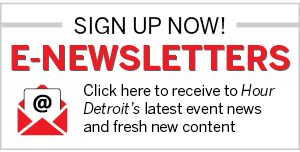 For more information, check out the Facebook event page HERE.